It’s time that rhetoric was transformed to reality!!! RHETORIC, RHETORIC, RHETORIC AND MORE RHETORIC…. Will anyone ever get around to actually doing something?!?!?….. All of this rhetoric and ‘hot air’ is just adding insult to injury!!!! 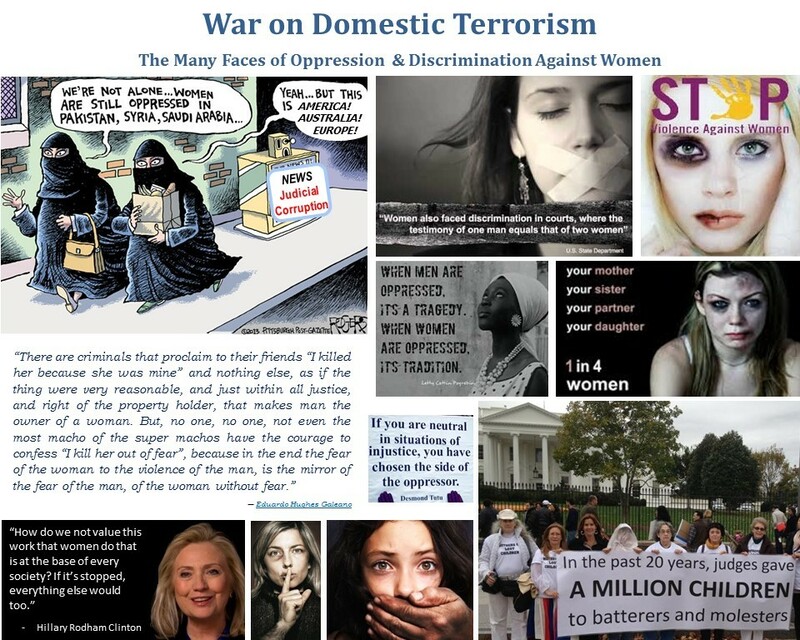 WOMEN IN THE USA AND AROUND THE WORLD ARE BEING SILENCES BY THE COURTS, INCARCERATED IN JAILS & PSYCHIATRIC WARDS, OR FORCED TO FLEE INTO HIDING! !– THIS IS THE REALITY BEHIND THE EMPTY RHETORIC AND PROPAGANDA! !